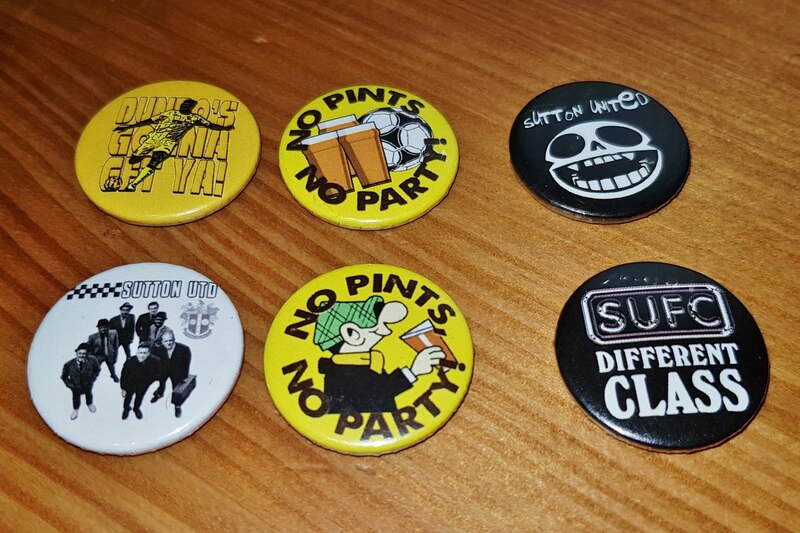 Our first range of tat is some 25mm\1in 'button' badges of varying designs. 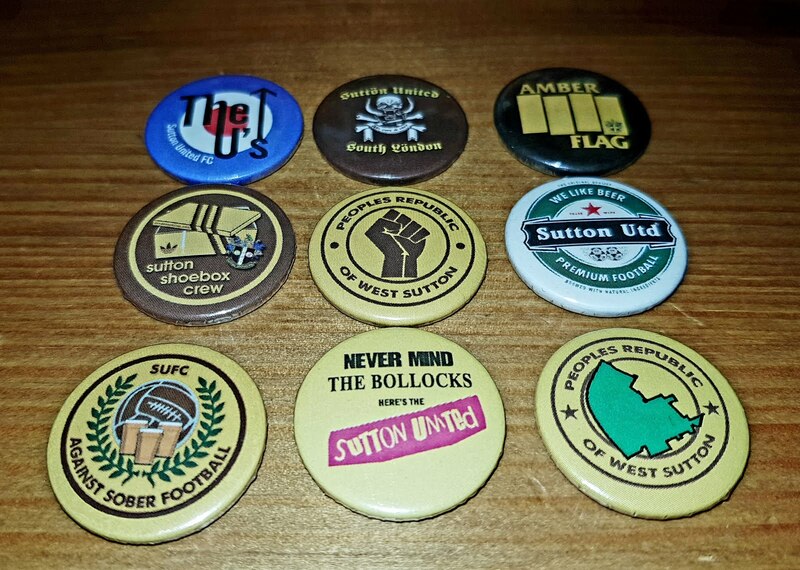 All of which are hand made by skilled artisans in the People's Republic of West Sutton. They're made from all metal parts, with no nasty breakable plastic involved. We make only the finest quality tat! There are 15 designs in all and we're charging £1 each, six for £5 or ten for £7.50. Postage is 50p for a single badge, 99p for the multiples. Unless you order like, a hundred, then we might have to charge a touch more. If you don't like the cold, impersonal feeling of online purchasing, then they can also be obtained on match days from Taz (he's usually in the bar or on the Shoebox!) for the same prices as you see here. Payment online is by PayPal, so it's all perfectly secure and these days, you don't even need to sign up for an account! Just pick the option you want and click 'Buy Now'. It's as simple as we are! If buying singles, the 6 for 5 or the selection of 10, don't forget to tell us which badge(s) you want!! What Badge(s) Would You Like? What Badges Would You Like? Here we have packs of 30 Gandermonium stickers. 5 each of 6 randomly selected designs, including the new ones we've just got made up! Packs are £2 each, with a bit for postage. There's also a chance you'll get a few extras in a pack. 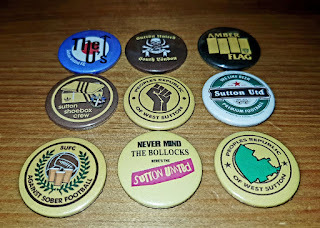 Or perhaps a button badge. You never know! Stay tuned for more tat!